Sexism at startups came to light in a viral off-color remark at a recent PyCon tech conference event. Sexism at startups has once again been thrust into the limelight following a bizarre chain of events at a recent tech conference. It all began when two male attendees made a joke about "big dongles" and "forking," a play on tech terminology at software developer conference PyCon on March 18. Tech developer and evangelist Adria Richards, sitting in front of the men, took offense. She snapped a photo of the two and posted the image along with their joke to Twitter. See Silicon Valley's lack of diversity. The backlash was extreme. One of the men, who worked for mobile gaming platform Playhaven, was fired. Richards started to receive death threats, hackers exposed her private information, and both her personal site and SendGrid, her employer, were hit with cyberattacks. Soon after, Richards was fired for "publicly shaming the offenders," according to a blog post by SendGrid CEO Jim Franklin. All this raises the question: is the tech world, a sector largely dominated by men, a safe place for women to work and voice their concerns? "This incident is indicative of larger problems in the tech industry," said Nikki Stevens, director of Engineering at Refinery29, a fashion startup. "What's hard is she isn't the first person to get fired for speaking out, and she won't be the last." The root of those problems, some say, is a lack of awareness rather than a willfulness to do harm. "There are so many incidents in my career of guys saying stuff like that," said Merrill Beth Ferguson, vice president of technology at data analytics startup Jirafe. "It does occasionally go too far. It's the rare occasion that I have thought there was anything going on other than cluelessness." That absence of sensitivity in a field already lacking diversity has become part of the public conversation this month. Sheryl Sandberg, Facebook's (FB) chief operating officer, addressed the issue in her new book, "Lean In." To combat sexism in the workplace, Sandberg encourages women and men to conduct open conversations about gender issues. 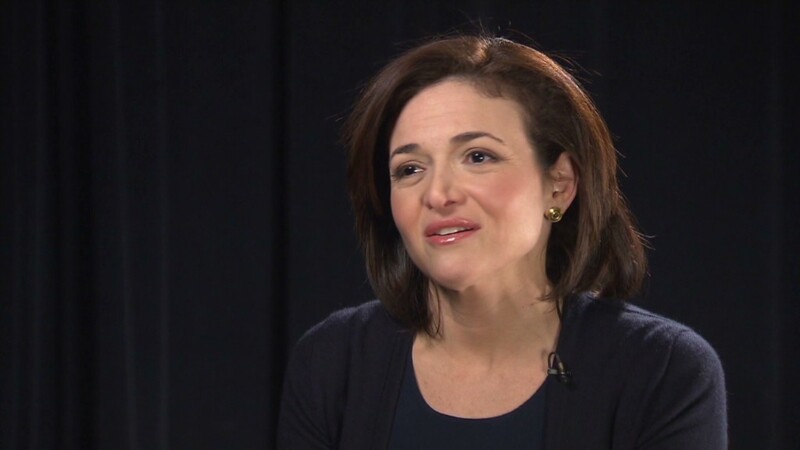 "We need a national conversation that examines the barriers that hold women back and prevent us from achieving true equality," Sandberg wrote in a CNN editorial. "The blunt truth is that men still run the world." Carol Mirakove, the head of quality assurance at link-shortening site Bitly, agrees. She has worked as a leader in the tech industry for more than a decade, and though she says her current job is a great place for women, others have been the opposite. At previous jobs, office chat rooms and email lists would be filled with sexual and misogynistic jokes and images, she recalled. Mirakove said the PyCon incident was "unfortunate," coming at a time where the stakes are particularly high. "The technology industry cannot afford for this conversation to be shut down any longer," she said. "It has more open jobs than skilled workers to fill them, and all tech workers are entitled to a fair and safe work environment." Yet Facebook's Sandberg and others admit that having the conversation isn't enough. Her book has generated sizable controversy for asking that women change their behavior and attitudes to advance their careers. "Women shouldn't have to grow 'thick skin' to go into a technical field," wrote Eric Matthes, a PyCon attendee who describes himself as a programmer and hacker, on his blog. To really bring about change, many startup insiders argue that tech companies must hire more women in leadership roles and promote strong female leaders. "It's up to the leaders of a company to create the culture that they foster," said Jirafe's Ferguson. But incidents like the one at PyCon could dissuade women from getting involved in tech to begin with. To get women interested in those roles -- and to stick with them -- they must be encouraged, and startups must become safe places for women to work and voice their opinions. "Women in technology need consistent messaging from birth through retirement they are welcome, competent and valued in the industry," said Richards on her blog.